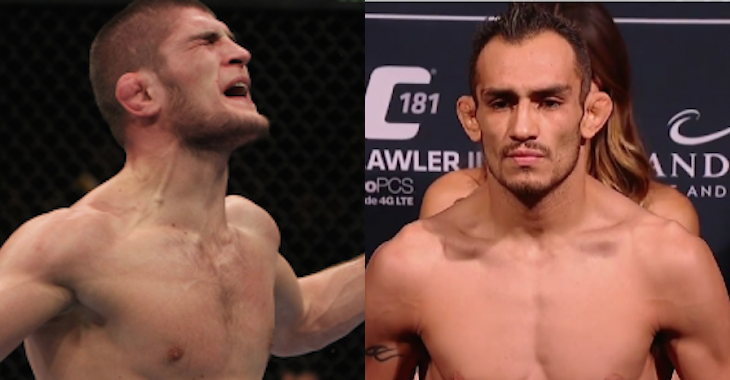 News broke late Thursday evening that Khabib ‘The Eagle’ Nurmagomedov has injured his rib in training and is unable to fight Tony Ferguson at the TUF 22 finale on December 11th. Sources confirmed the news with MMAFighting, which also revealed that the UFC is looking to have Edson Barboza step in on short notice to fight Ferguson. This is the 3rd injury to force Nurmagomedov out of scheduled bouts. The first two being knee injuries.